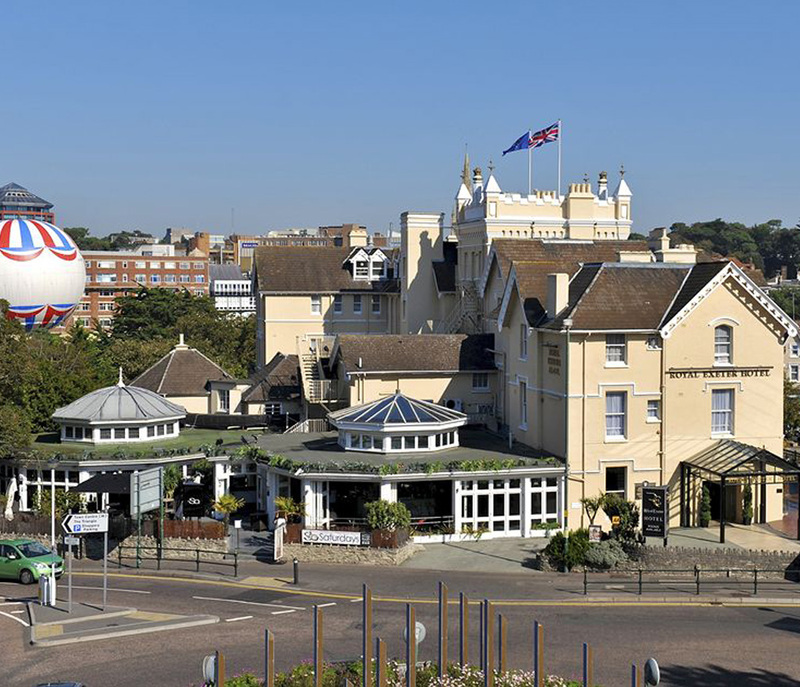 The Royal Exeter Hotel is perfectly located directly opposite The Bournemouth International Conference Centre and is the ideal venue for your Conference Meeting, Fringe Event, Charity Fundraising Event, Presentation or Drinks Reception. We at the Royal Exeter Hotel believe early planning of any event is essential to its smooth running and ultimate effectiveness. Through experience we understand that each meeting and event always attracts their own ‘special requirements’ and the management team at the Royal Exeter Hotel are always willing to adapt to your individual needs. Our experienced Management teams do their best to meet and exceed the standards expected by the trainers and event organisers of today and are always on hand to ensure that your Conference or Seminar is a complete success. We offer competitive rates over our three suites, all of which have natural daylight and air conditioning.